Paragraph five on page 26 has been clarified and revised. Future printings of the book will include this revision. Current owners of the book may print the pdf of this page and insert it into your book over the old page. Here is the text of the new paragraph and the link to the whole page below. There is a vacuum in the pleural space between the lungs and the chest wall. The movement of the ribs up and out on inhalation results in an expansion of the chest cavity, and a concomitant expansion of the lungs, increasing their internal space. 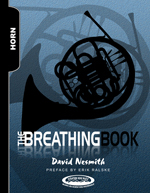 This expansion draws air through the nose and/or mouth into the lungs. After the dynamic transition at the top of the inhalation, the ribs reverse direction for the exhalation, moving down and in, expelling air from the lungs.